Biological drugs, commonly referred to as biologics, are a class of drugs that are produced using a living system, such as a microorganism, plant cell, or animal cell. Like all drugs, biologics are regulated by the United States Food and Drug Administration (FDA). They are different from “small molecule” drugs (think aspirin) in that they are generally larger, more complex molecules. Biologics are usually administered via injection or infusion. Most biologics in cancer care are given under the close supervision of a medical professional. Biologics have been a part of medical treatment for a long time and have been used for treating cancer since the 1980s. Biologics can be used to treat cancer in a variety of ways. One way, immunotherapy, helps the body’s own immune system fight cancer cells. Other biologics are designed to slow down tumor growth and progression, or even help the body recover from other anti-cancer treatments. Biologics are made by reproducing, or growing, copies of a specially engineered living cell. This process begins by growing the cells in a carefully controlled facility. In this complex system, the cells develop the proteins that will make up the drug. After this growth of the cells, which can take several weeks and requires constant monitoring, the protein that makes up the drug is extracted and purified until the final biologic drug is obtained. The complexity of biologics can be seen in the final product. While a small molecule drug, such as aspirin, can consist of as few as 21 atoms, biologics can be made of over 25,000 atoms. Because the manufacturing of biologics uses living cells, it is impossible to guarantee that each batch of a biologic will be identical to the last, which means every dose of a biologic has slight variations. This is different from small molecule drugs which are manufactured using chemical processes that create identical copies. Because of these small differences, biologics manufacturers dedicate significant resources to ensure that their products behave predictably in all patients, putting special processes in place to control for natural variations and to create a consistently safe and effective product. One way to think about this is to consider the difference between a bottle of wine (a biologic stand-in) and a bottle of a sports drink (a small molecule drug stand-in). Wine, which is made of grapes, is produced through a biological process that is affected by numerous factors, including the weather, the soil, or even the day that the grapes were picked. While variations may be present from bottle to bottle or occur year to year, a vineyard works hard to produce a high-quality product. A sports drink, by contrast, is created through a very specific mixture of ingredients that can be precisely replicated from bottle to bottle, day to day, and year to year—in different factories around the country. Biologic drug manufacturers, of course, have significantly tighter controls on the variability of their product than wine makers do, and are required by the FDA to meet extremely stringent controls. While not a perfect analogy, it does give you some understanding of the differences between small molecule drugs and biologics. Like all drugs, biologics are regulated and approved for use by the FDA. Before approval, biologics undergo extensive testing in the laboratory, and are then further tested in clinical trials with patients. The information from these trials is used to establish the safety and efficacy of the biologics. Because of their complex nature and the potential for variability, the FDA pays particular attention to the manufacturing processes involved to ensure that a consistent product can be produced. A biologic is approved by the FDA only after it determines that the manufacturer, also known as the sponsor, has proven that a biologic is “safe, pure, and potent,” and the facilities where the biologic is made conform to good manufacturing practices. “Safety” is determined by comparing the product’s benefits against its risks, “purity” is determined by making sure the product is free from “extraneous matter”, and “potency” is determined by assessing the biologic’s effectiveness in treating the disease in question. Biologic therapies play an important role in cancer treatment, in part because of their ability to target specific aspects of cancer cells. Many biologics work by using a patient’s own immune system, directly or indirectly, to fight cancer. For example, monoclonal antibodies (antibodies), some of the most complex biologics, can be used to target cancer cells and flag them for destruction by the immune system. In many cases, these biologics may not kill as many healthy cells as other drug treatments, may be less toxic, and may have fewer or more manageable side effects. While biologics, such as antibodies, target cancer cells for destruction, others serve as supportive care and can work to reduce the side effects from chemotherapy or radiation treatments. One class of biologics, known as colony-stimulating factors (CSFs), encourage bone marrow to grow and divide. Additionally, CSFs can increase the number of infection-fighting white blood cells in the body and help patients receiving chemotherapy tolerate their treatments at higher more effective doses. A biosimilar is a biologic product developed to be highly similar to a previously FDA-approved biologic, known as the reference product. A biosimilar must have no clinically meaningful differences from the reference product. A biosimilar is considered highly similar to the reference product if it is as safe, pure, and potent as the reference product for the conditions for which it is intended to be used. 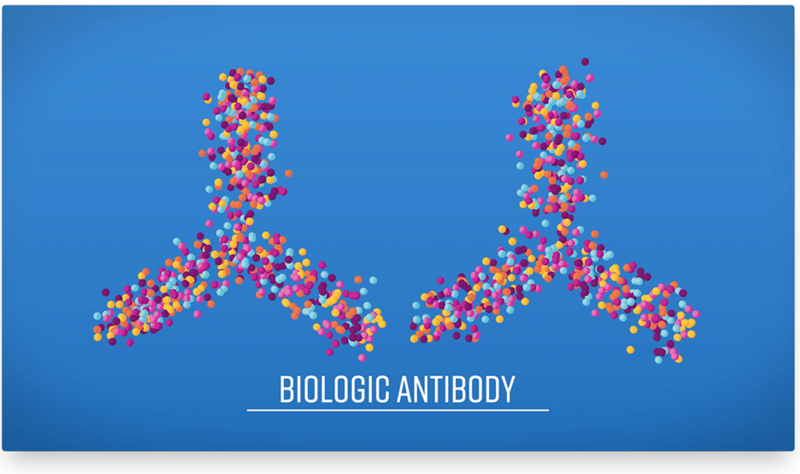 A biosimilar’s safety, purity, and potency is proven by a series of tests and trials, performed by the manufacturer, that are designed to compare the biosimilar to the reference product. In order to be approved as a biosimilar by the FDA, the product will have the same mechanism of action (how it works in the body), route of administration (e.g., injection or infusion), dosage form (e.g., liquid), and strength as its reference product. The reference product and the biosimilar may have certain minor differences, including differences in the clinically inactive components of the drug. However, the FDA evaluates these differences to ensure that they are acceptable and do not change the effectiveness of the biosimilar when compared to the reference product. Just as with the reference product, the FDA pays special attention to the manufacturing process for the biosimilar. Slight variations are expected. However, the FDA requires that these variations be carefully controlled, monitored, and kept within acceptable limits. Another requirement for biosimilars is that they have no clinically meaningful differences when compared to the reference product. What this means is that a patient will have the same physical response to the biosimilar as they would to the reference product. The manufacturer, or sponsor, of the biosimilar proves this by comparing factors such as immunogenicity (the immune system’s response to the product), pharmacokinetics (how the body breaks down, metabolizes, or excretes the product), and pharmacodynamics (the effect the product has on the body and the disease). Interchangeable biosimilars are biosimilars that have met additional requirements. These requirements include not only showing that the product is expected to produce the same clinical result as the reference product in any given patient, but also that switching back and forth between the reference product and the biosimilar causes the patient no additional risks in terms of safety or effectiveness as using only the reference product. 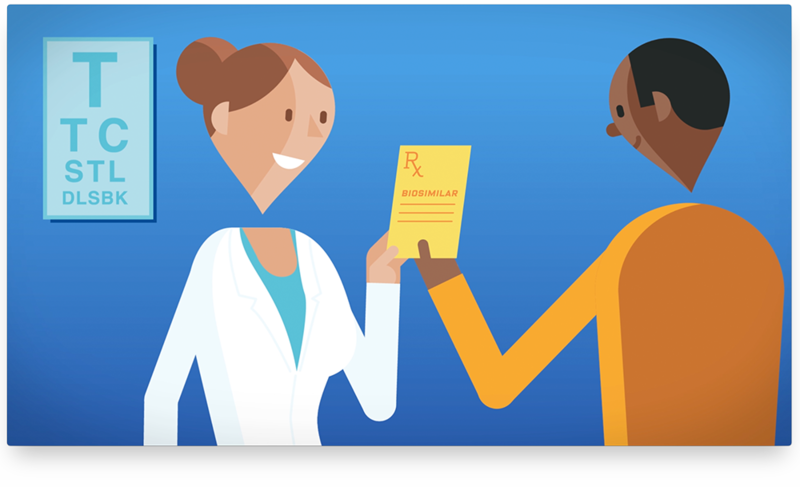 From a patient’s perspective, the key difference between a biosimilar and an interchangeable biosimilar is that an interchangeable biosimilar can be substituted for the reference product by a pharmacist (subject to state law) without the involvement of the prescriber. However, the FDA’s high standards for all biologics, including interchangeable biosimilars, means that you can be assured of their safety and efficacy, including in those instances where you may switch back and forth between the reference product and the interchangeable product. Note: Many states are introducing rules regulating when substitution is permitted by pharmacists and, thus, when substitution at the pharmacy level is permitted varies from state to state. Both biosimilars and generic drugs are FDA-approved copies or versions of other FDA-approved “brand name” products. Both biosimilars and generics were introduced in order to increase competition, reduce prices, and improve patient access to life-saving products. And while both biosimilars and generic drugs follow an abbreviated pathway to approval based on comparison to a reference product, there are certain key differences between the two. The active ingredient in a small molecule drug can be recreated exactly and, therefore, the active ingredient in a generic drug is exactly the same as that in a brand-name drug. The complex nature of biosimilars means that slight variations exist within all biologics (including between batches of the reference biologics available today). Because of this, a different approval standard exists for biosimilar products than for generics. Generic drugs are required to be bioequivalent to their reference products. Biologic products and, by extension, biosimilars are more complex and, thus, the “highly similar” standard exists. However, both standards ensure that the products are safe and effective for their intended uses. The safety and efficacy of biosimilars, when compared to branded products, can be seen in their long history in Europe, where the first biosimilar was approved by the European Medicines Agency (EMA), the European equivalent of the FDA, in 2006. Since then, over 30 biosimilars have been approved for a variety of indications, and Europe has seen no unexpected or unusual adverse reactions. The European experience shows that biosimilars can be used as safely and effectively, for their approved indications, as other biological medicines. The FDA’s strict review standards for biologics and biosimilars should lead to similarly positive results in America. The FDA approves biosimilars by reviewing information provided by the sponsoring manufacturer demonstrating that it is highly similar to the reference product and has no clinically meaningful differences. In order to demonstrate it is biosimilar, the biosimilar sponsor provides analytical, animal, and clinical studies to the FDA. These studies, based on a comparison of the biosimilar to the reference product, allow the FDA to approve a biosimilar without requiring as many clinical trials as were needed for the reference product. Because the biosimilar sponsor is able to rely on the safety and efficacy work completed by the reference product’s sponsor, and focus on a comparative assessment, product development costs should be lower, approval times should be faster, and more products should be brought to market. A biosimilar can be approved for one, some, or all of the conditions of the reference product. While the safety of a biosimilar is assured through FDA review and approval, your health care provider should review the product label for any prescribed biosimilar. Biosimilars were introduced to the market in an effort to increase competition and reduce drug costs. In general, biologics cost more to develop and manufacture than small molecule drugs. They also take a longer time to bring to market (10 to 15 years versus 7 to 10 years for small molecule drugs). With the concerns over rising drug prices, the demand for biosimilars has grown. 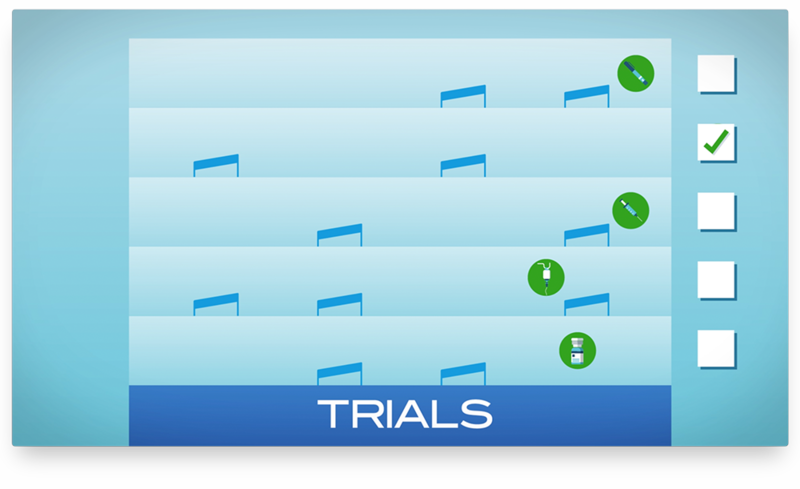 There are several ways that you, as a patient, might encounter a biosimilar. The first is that it might be the biologic product that is prescribed to you by your healthcare provider. This might be for several reasons, including that the biosimilar is the preferred product of your doctor or health plan. This preference might also come from physician’s experience with the product, a desire by your health plan to control costs, or both. You may also receive a biosimilar as a substitution for a prescribed biologic at the pharmacy. However, this can only occur if the biosimilar has been designated as “interchangeable” with its reference product by FDA. If a product has been deemed interchangeable, a pharmacist (subject to state law) can elect to provide the interchangeable biosimilar instead of the reference product. This scenario is most likely to happen in those instances where a patient can self-administer the biologic, such as a home injectable treatment for rheumatoid arthritis. Pharmacy laws are different from state to state, so the exact rules regarding the substitution of an interchangeable biosimilar will vary. At the present time, however, the FDA has not designated any biosimilars as interchangeable. Biologics and biosimilars represent some of the most important treatments for cancer patients. The FDA’s standards for all drug approvals provide you with the confidence to know that whether you are receiving a biosimilar or a reference product, no compromise has been made in the safety, efficacy, or quality of the product you are receiving. For more information on biologics and biosimilars, you can also visit www.fda.gov/biosimilars. 21 CFR §§ 600.3, 601.25.